The laser consists of an active medium and a pumping source enclosed in an optical cavity. The pumping source pumps the active medium (The LASER medium itself) from its ground state (zero, inactive state) to an excited state. “Population Inversion” occurs when the two sources are mixed together and photons are given off thereby producing the “LASER” activity. This activity is resonated or reflected back and forth within an optical resonator and amplified. A portion of this activity is then emitted as a LASER beam. Beam splitters or mirrors are used to capture the particular portion of the LASER beam that is needed to perform the surgical operation. – High Degree of Collimation (there is very little divergence of the beam as it travels away from the source) This allows the beam to be focused to very small spots (Unlike a conventional light bulb that emits the beam in many many directions). – Coherence All of the photons that have been given off when the population inversion occurred are “In Phase” both in space and time…. The active medium of a laser can be either a gas, solid or liquid. The active medium of the diode laser is a semi-conductor P-N junction made in a GaAlAs crystal. A flexible fiber is used to transmit the laser energy to the surgical site. It works best on soft tissues and can cut very precisely with little or no collateral damage depending on the settings used during the surgery. The Diode laser many times can be used without anaesthesia doing very precise anterior aesthetic surgery without causing bleeding or discomfort. It is the best laser for that purpose. The active medium of the CO2 LASER is gaseous CO2 a proprietary hollow wave length technology is used to deliver the LASER energy to the surgical site. The wave guides are coated to form an internal reflection that allows the flexible wave guide to be used for the delivery of the LASER energy to the surgical site. It is highly absorbed in water and is very good at cutting soft tissue without causing bleeding depending on the settings used with the LASER. It is also the best laser to use to control bleeding in an area. 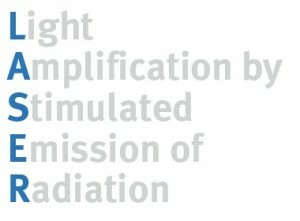 The active medium of the Erbium LASER is the solid medium of Erbium. The Erbium LASER is used in a pulsed mode and is highly absorbed in water at very low depths. When used on hard tissues the Erbium LASER energy that touches the hard tissue heats up the water within the hard tissue and causes that water to be turned into steam. That causes a mini-explosion to occur and the hard tissue is “ablated” (removed). The tissue below is not affected in the least since the Laser only works at very low depths, thereby allowing precise control.This allows the dentist to cut hard tissue like tooth or bone many times without anaesthesia and be infinitely more precise than we could with any drill we have ever used in the past. The Erbium LASER can also be used to cut soft tissue but it is not as precise as the Diode Laser and it does not control bleeding. There are times when this is exactly what is needed and that is when you use the Erbium LASER to cut soft tissue. Note that if we are working with a hard tissue like silver fillings, crowns or porcelain that do not have any water inside then we can not cut that out with the laser. We therefore need to use a bur to remove that material. The fact that the Erbium Laser does not affect certain materials enables us to perform work close or next to a porcelain crown or bridge without the risk of damage to the existing restoration. The Erbium LASER does work well if we have to remove composite filling materials however.